Edward James Kendrick was a singer and songwriter, born on 17th December 1939 in Union Springs, Alabama USA, mostly recognized for his falsetto singing style, and as the co-founder and lead singer of the Motown singing group “The Temptations”. He also had a successful solo career, and recorded several hits during the 1970s, most notably “Keep On Truckin”, which became a number-onehit. He passed away in 1992. 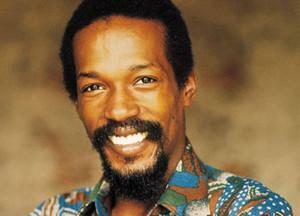 Have you ever wondered how rich Eddie Kendricks was? According to sources it has been estimated that Kendricks’ net worth was $5 million, accumulated through a fruitful music career which spanned nearly four decades. His later career as a solo artist resulted in equal success, which significantly added to his wealth. Kendricks was one of five children in the family, who moved to Ensley neighborhood of Birmingham when he was a child. There he met and befriended Paul Williams with whom he began singing in the church choir in the late ‘40s. Some years later, in 1955, Kendricks and Williams, along with two other friends, formed a doo-wop group called “The Cavaliers”, and soon moved to Cleveland in search of a better musical career. The band members met future manager Milton Jenkins, and moved with him to Detroit, Michigan where they were renamed “The Primes”. The group became successful in the Detroit area, and even created a female spin-off band called “The Primettes”, who later became “The Supremes”. However, by 1961 the “The Primes” had disbanded, and Kendricks and Williams formed a new group called “The Temptations”, and soon signed to Motown. It wasn’t long before they became the most successful male group of the ‘60s, with Kendricks singing lead in his falsetto voice on numerous of the band’s famous hits, such as “Dream Come True” (1962), “The Way You Do the Things You Do”(1964), “I’ll Be in Trouble”(1964), “The Girl’s Alright With Me”(1964), “Get Ready”(1966) among many others. He also sang the lead in his natural voice on a couple of songs, including “May I Have This Dance” (1962). Eddie was responsible for creating most of the group’s vocal arrangements, served as their wardrobe manager and co-wrote several of band’s songs. In the late ‘60s, Kendricks started to grow away from the group due to a number of reasons, including his discomfort with singing in the psychedelic style they were now developing. Finally, he left the band in 1970. However, although he was already working on his first solo album, Eddie recorded one last single with “The Temptations” called “Just My Imagination (Running Away with Me)”, which eventually hit no.1 on the US pop charts in 1971. Despite starting his solo career slowly, Kendricks‘s 1972 album “People…Hold On” became a cornerstone of the disco scene. He eventually reached no.1 with the pop hit “Keep on Truckin” in 1973, which sold more than a million copies and earned him a gold disc. His further hits included “Boogie Down”(1974), “Son of Sagittarius”(1974), “Shoeshine Boy”(1975) and “Intimate Friends”(1977). Kendricks briefly re-joined “The Temptations” for a reunion tour in 1982, and recorded a Reunion album for that occasion. Kendricks was inducted into the Rock and Roll Hall of Fame in 1989, along with his Temptations bandmates. Privately, Kendricks was married to, who he divorced in 1975 and with whom he had a son. He had three children from different relationships. Eddie was also in brief relationships with singers Tammi Terrell and Diana Ross. Eddie died after being diagnosed with lung cancer on 5th October 1992, in Birmingham, Alabama, USA. 1 I don't really know what a superstar is. I don't think you could ever become a superstar - they call you what they want to call you - but I don't think you could ever become a superstar because that means you have made it. You have achieved it all. I don't think I want to get that big. I don't want to blow myself out of proportion. That's too heavy a cross to bear. 1 Father of Aika Kendrick, and Paul Kendrick. 2 Uncle of Jamaul Kendrick. 3 The Temptations were awarded a Star on the Hollywood Walk of Fame for Recording at 7060 Hollywood Boulevard in Hollywood, California. 4 Is portrayed by Terron Brooks in The Temptations' 1998 TV miniseries, The Temptations (1998). 5 Disliked the "psychdelic soul" music that The Temptations began singing in the late 1960s and early 1970s. This was one of the reasons why he eventually left the group. 6 Was close, longtime friends with his fellow The Temptations singer Paul Williams. They grew up together and were in a band called the Primes before joining Otis Williams and Melvin Franklin to create The Temptations. 7 Despite knowing that he would be arrested for back child support if he returned to Michigan, he attended David Ruffin's funeral in 1991 and was arrested right after the graveside service. Lovelace 2013 performer: "Keep on Truckin'"
More Than a Game 2008 Documentary performer: "Lights Camera Action!" Barbershop 2002 performer: "Lights, Camera, Action!"